He was created 1st Baronet Lowther, of Marske, co. Yorks [England] on 15 June 1697.1 He held the office of Member of Parliament (M.P.) for Lancaster between 1702 and 1705.1 He lived at Marske, Yorkshire, EnglandG. Child of Sir William Lowther, 1st Bt. 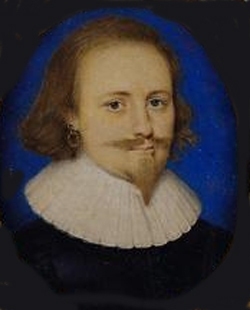 Child of Catherine Preston and Sir William Lowther, 1st Bt. He succeeded as the 2nd Baronet Lowther, of Marske, co. Yorks [E., 1697] in April 1705.1 He lived at Marske, Yorkshire, EnglandG. [S6] G.E. Cokayne; with Vicary Gibbs, H.A. Doubleday, Geoffrey H. White, Duncan Warrand and Lord Howard de Walden, editors, The Complete Peerage of England, Scotland, Ireland, Great Britain and the United Kingdom, Extant, Extinct or Dormant, new ed., 13 volumes in 14 (1910-1959; reprint in 6 volumes, Gloucester, U.K.: Alan Sutton Publishing, 2000), volume I, page 108. Hereinafter cited as The Complete Peerage. [S6] Cokayne, and others, The Complete Peerage, volume XII/1, page 66. [S6] Cokayne, and others, The Complete Peerage, volume XII/1, page 68. [S18] Matthew H.C.G., editor, Dictionary of National Biography on CD-ROM (Oxford, U.K.: Oxford University Press, 1995), Carr, Robert. Hereinafter cited as Dictionary of National Biography.